Geographically beautiful, Cornwall is characterised by glorious seascapes and quintessential fishing towns, but is also home to its own distinct character and culture. Lying in the most South Westerly point of the British Isles on a peninsula reaching in to the Celtic Sea, Cornwall is not only geographically beautiful, characterised by glorious seascapes and quintessential fishing towns, but is also home to its own distinct character and culture. Ocean, Cornwall is synonymous with beautiful coastlines of sweeping golden bays, craggy cliff-tops and traditional fishing villages. 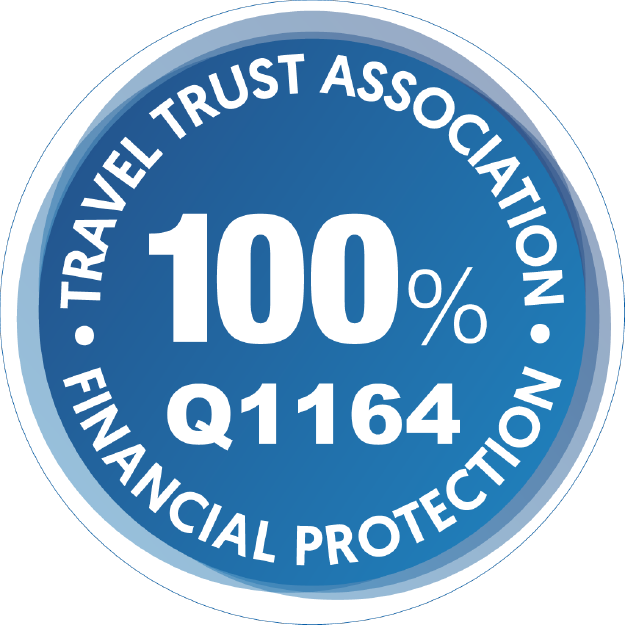 Located in the South of England, Cornwall enjoys a mild climate and is associated with traditional English Summer holidays. As a remote and undiscovered region brimming with history and legend, in recent years Cornwall has become increasingly popular with the international visitor and a tour of Cornwall makes an excellent vacation in itself, or an integral part of a longer trip exploring England. Touring Cornwall you’ll travel from the River Tamar in the East to the famous Land’s End in the West which is also the most southerly point of mainland Britain. Culturally, Cornwall is quite distinct from the rest of Britain; historically the region, once known as Kernow, was almost autonomous from England with its own Celtic language and heritage and close trade ties with other Celtic regions such as Wales and Brittany in Northern France. This Celtic heritage lives on today in place-names and signage, which you’ll encounter on a driving tour through Cornwall, and the Cornish language which has seen a revival in recent years. More recently the Cornish region benefitted the now defunct tin-mining industry before developing its economy around the flourishing fishing and tourism sectors. Steeped legend, the county of Cornwall has been the setting or inspiration of ancient myth, historic literature and more recently, popular television productions. 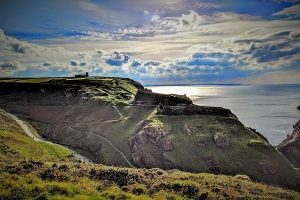 Arthurian legend pervades with King Arthur’s birthplace and Merlin’s cave said to be located at the cliff-side Tintagel Castle on Cornwall’s north coast, whilst Arthur’s sword Excalibur is linked to Dozmary Pool in Bodmin Moor. The coastlines are awash with legends of the pirates of Penzance and secret smuggler’s coves which inspired Daphne Du Maurier’s novel Jamaica Inn. 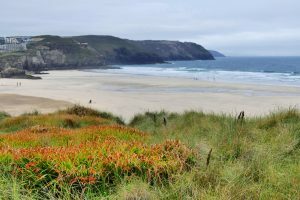 More recently, Rosamunde Pilcher had a series of best-selling novels set in the region whilst the television adaptation of the Cornwall-set Poldark novels has become a major hit for the BBC since 2015. The archetypal Cornish fishing village is also depicted in the genteel television comedy-drama series of Doc Martin which has become an international success; set in the fictional town of Port Wen, the real-life village of Port Isaac is rapidly becoming major visitor destination for fans of the programme. Food and drink is extremely important in this area of England, Cornwall is the ultimate of home of one of England’s national dishes, a traditional fish ‘n’ chip supper of fried battered fish with chunky fries to be covered in salt and vinegar and eaten out of a wrapping of newspaper best enjoyed on a bench overlooking the ocean, but watch out for swooping seagulls. Meat and pastry Cornish pasties are a local delicacy whilst for those with a sweet tooth a traditional Cornish clotted ice cream or an afternoon tea of jam and scones should not be missed. More sophisticated Cornish dining is available in Padstow home to Rick Stein’s renowned seafood restaurant. 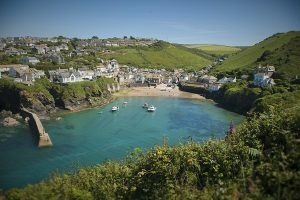 On any driving tour of Cornwall, St Austell Bay, known as the Cornish Riviera is an area not to be missed; on the south coast of Cornwall it is a hugely popular visitor destination with a series of attractive seaside towns and villages including those at Fowey, Polperro, and Looe. These charming fishing villages are characterised by boats bobbing in natural harbours, tiny fisherman’s cottages nestling in sheltered coves and tangles of narrow cobbled streets waiting to be explored. To the south explore the sweeping bays and medieval fort at Falmouth whilst on Cornwall’s West coast you’ll find the pretty 17th century village of St Ives, home to a vibrant arts and crafts scene and one of just two Tate Galleries outside of London. When touring Cornwall you’ll come across a rich and diverse range of historic sites and heritage visitor attractions including the National Trust’s Llanhydrock House and Gardens, the off-shore island and monastery at St Michael’s Mount, the intriguing Minack Theatre whose amphitheatre is carved in to the cliff-side over-looking Porthcurno Bay and the reclaimed tin-mine at The Eden Project which now homes the largest indoor rainforest in the world. Home to a wealth of culture, heritage and historic sites, stunning natural beauty along its coastlines and a plethora of picturesque fishing towns, Cornwall is a unique and captivating little corner of England which should be an must-see destination on any tour of England.